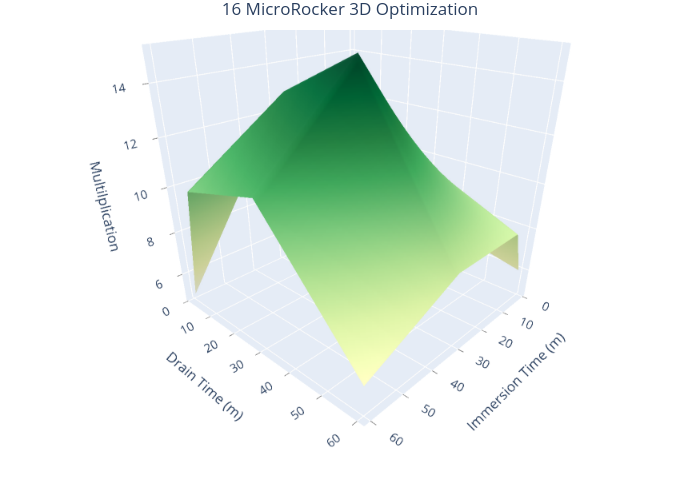 Wevitro's interactive graph and data of "16 MicroRocker 3D Optimization" is a surface. The x-axis shows values from -0.2181319081830579 to 0.207493061815182. The y-axis shows values from 1.1691347947761193 to 2.6025116517459344.